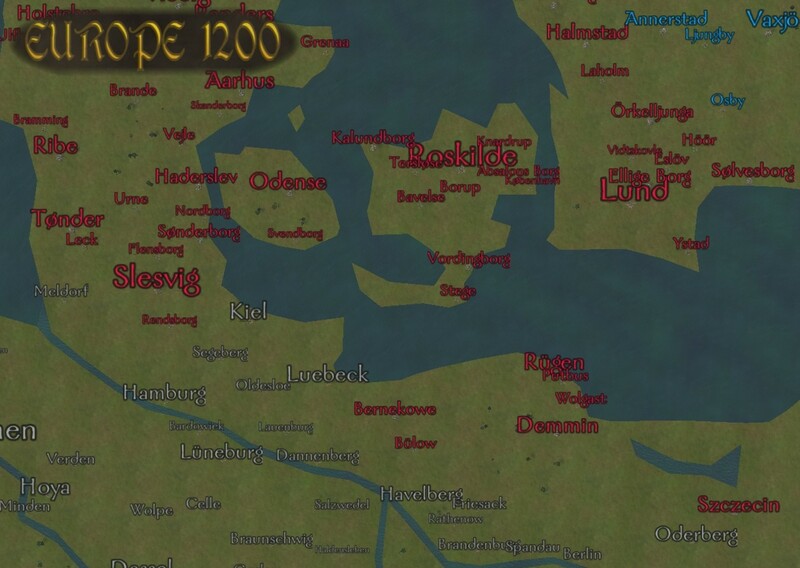 Europe 1200 gets ported to Warband. With a bigger map, more factions, and loads of new content. A reallistic mod that takes the player to the Middle Ages, when more than 20 different factions fight for their own expansion and glory. didn't you know that ABBA has been around since 1199? the detail of the land looks very diffrent from native warband when i play, are you going to change that? (just asking) :P i will be folloing this. Are you gonna add estonia? Why can't anyone make a mod like this except set in the 1300's or 1400's ? The use of the 13th century scenario is becoming dull in my opinion and to many mods have concentrated on placing a setting where medieval Europe had guns not to mention there was no Multiplayer for these types of mods. I think the mod creators should make a single player and multiplayer set in the 1300's and 1400's. The area at North of Germany.